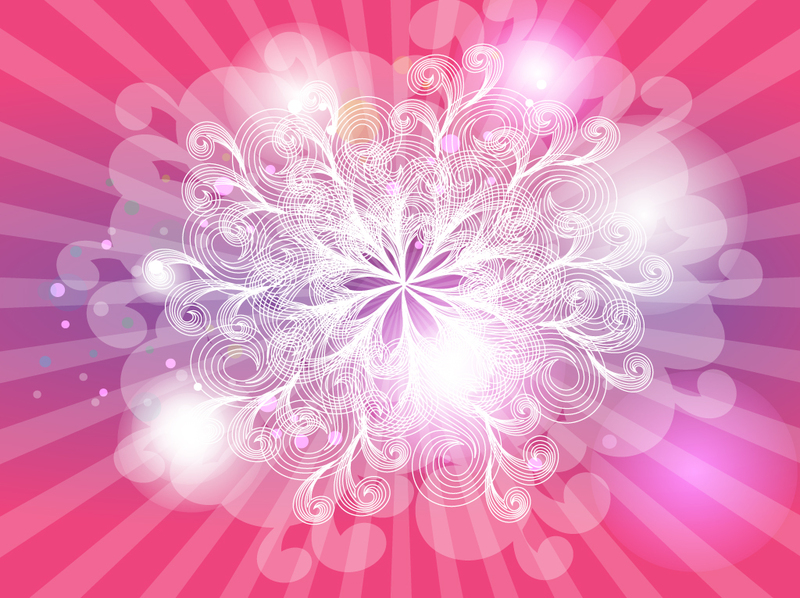 Pink vector background with spiral floral decorations, light effects and center flower shape. The soft pastel tones of the backdrop are contrasted by the white swirling graphics. Free Illustrator vector download for bright wallpapers, lovely Mother's day cards and spring themed digital print banners. Tags: Floral, Invitation, Magenta, Mother’S Day, Pink, Psychedelic, Retro, Swirls.